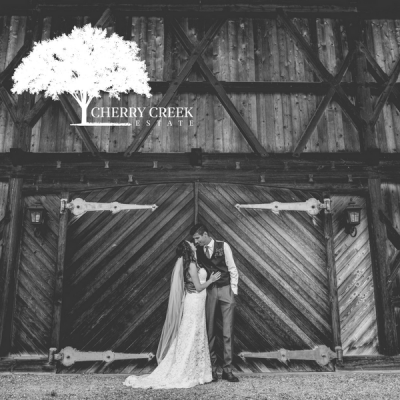 �Emily & Logan were married atop a hill overlooking the mountains just outside of Pincher Creek. Though we were exposed to the elements, no amount of wind chill could dampen the joy we witnessed! The girls arrived at the ceremony in a Ford truck, and the groomsmen arrived on horseback. After the couple had officially tied the knot, and after they had greeted their guests, Emily mentioned that she would like to play the piano (yes, they brought a grand piano up to the lookout) before continuing with photos. After playing a few bars she said, �This isn't mom and dads piano�,� and realized to her delight that it was actually her parents' wedding gift to her!